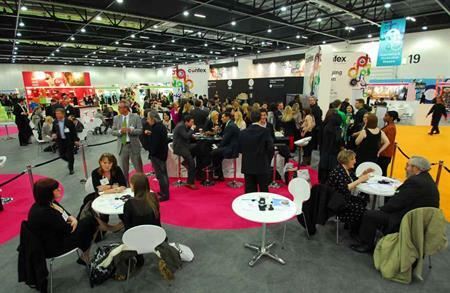 International Confex has launched its first Hotel Lobby feature for the 2013 show in March. The new feature will provide a dedicated area for buyers to see a range of properties showcasing their meetings and events products. The Hotel Lobby will have three separate sections tailored to UK, international or luxury products and will be centrally located in the show, which takes place at Excel London on 19-21 March. "The Hotel Lobby is a new feature for International Confex 2013 and is a response to feedback from our visitors which indicated a desire for a specific area where they can see specialist hotels with compelling meetings and events products," said group event manager James Samuel. "The feature will act as highly visual lobby areas where visitors can spend time talking to individual venues, be they part of a group or independent entities." The Hotel Lobby will feature hotels including Zacchera, Ramada, Barcelo, Westin Bayshore (Vancouver), Hotel Verta, Helios Hotels & Resorts, Ellicis Hotels, Royal Hotel San Marino and Holiday Inn Stratford. "It’s a bespoke feature which will ensure greater return on investment for participants, demonstrating our commitment to assisting individual bespoke hotels to market themselves in a cost effective way alongside the larger chains," added Samuel. "We’re really pleased with the response to the Hotel Lobby; it’s already proved itself to be a popular feature among exhibitors and will provide an interactive experience with increased choice to our visitors."